Will Inventory Management Software Really Help My Company? Inventory management software consists of business applications that track, manage and organize product sales, material purchases and other production processes. 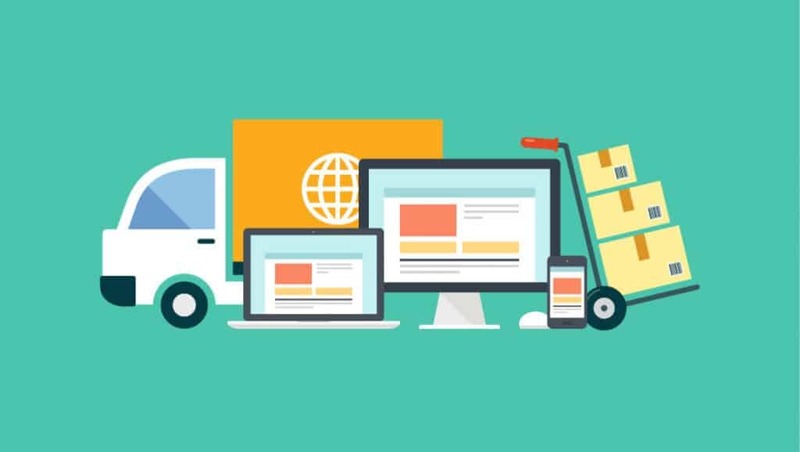 The software is used to track products and parts as they are transported from a vendor to a warehouse, between warehouses, and finally to a retail location or directly to a customer. Why your business is being held back, drastically. Growing companies can have a hard time keeping track of their inventory data accurately. When things are moving in and out really fast, simple lists and excel spreadsheets just don’t keep up. When someone has to manually enter everything into Excel, it leaves a lot of room for human errors. It also lacks real-time data so what you see on your Excel sheet may not actually match what you actually have in person. This is especially true when you have multiple people touching your inventory, but can only have one person update the sheet at a time. Another common problem is that using Excel to track large quantities is not only difficult, but it also increases the likelihood of the program crashing as your data grows exponentially larger. Without accurate data, your views into your business are skewed—and you could end up making costly business decisions. The statistics show that around 45% of American consumers shop throughout multiple channels within the market. As consumer data becomes more challenging and harder to test and analyze, it becomes harder to track manually. With the right inventory management software, however, it becomes much easier to sync the data between your sales and fulfillment. An inventory management software must be adaptable. Having an inventory management system that updates in real-time and has access to historical data can provide you with more useful information to make more accurate predictions about how much of a particular item you should stock. An accurate inventory management system will prevent having a bulk of items collecting dust on your shelves, having products that are in high demand on back order, and overall keeping your customers happy. This way you can optimize your inventory levels and replenish items as quickly as possible, so you have as little inventory as possible and your goods are constantly replenishing. Only the best inventory management software will be able to Integrate with other platforms to make management easy to use (Shopify and Salesforce). So in short, inventory management software will not only optimize your company, it will help and grow with it, exponentially. Get a Free Demo now. Building savings campaigns for your overstocked inventory through daily, weekly, or monthly deals, lets you one-up your competition,and move your merchandise quickly and easily. Retailers will watch for these specials and will appreciate the added savings they receive when they deal with your company which means – yes, you guessed it – more orders! Automate your order management and product distribution processes as much as you can. This means less waiting for busy retailers who want a simple, streamlined process, putting your company near the top of their lists of wholesaling firms to bring their business to. It's important to utilize an inventory management software that can streamline the operations for you! Do your sales reps have all the information they need going into sales appointments? 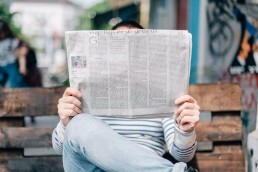 Forward-thinking wholesalers, manufacturers, and distributors are understanding that in order to make sales in this day and age, sales reps need to add value to their sales conversations, not just go through the motions of writing down a reorder. Using a capable CRM is the next best step to creating more sales, and maximizing the sales process. Wholesalers who can differentiate their brands by providing great customer service are seeing returns. Think about how you can create a modern, convenient experience for your customers. How can you fulfill orders more quickly and replace transactional activity with strategic value? The short answer, is increased customer service. By tracking what your clients are purchasing and how often they do it through a sales order management software, you can get an insight into making sure you are their go-to distributor. You can’t run a profitable wholesale distribution business if you don’t have a good handle on inventory management. 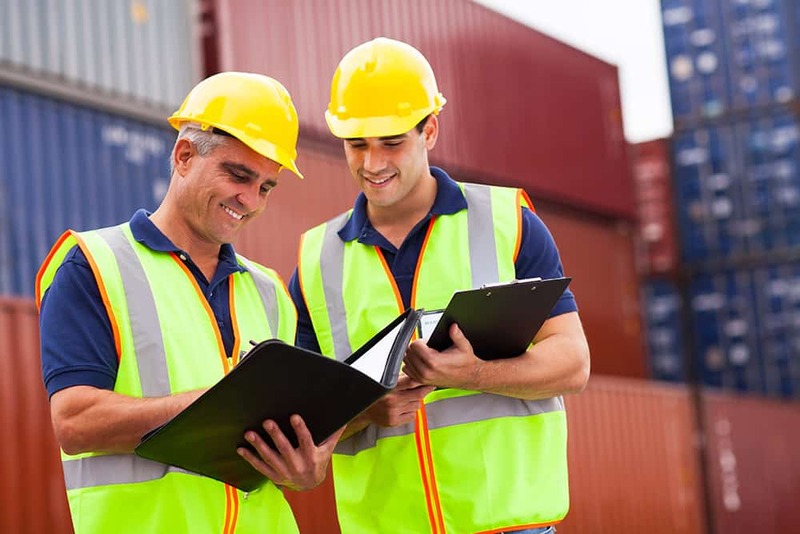 Tracking incoming/outgoing inventory, doing regular physical inventory counts, and implementing a great inventory management software, are all key in keeping your inventory in good standing. Wholesalers can optimize their business by implementing these strategies within their warehouses today. KECHIE INVENTORY MANAGEMENT SOLUTION FROM MY OFFICE APPS, INC. SELECTED BY WAHIKI COCONUT CREAMERY AND ALSO SOURCELY, LLC. SANTA ANA, CA, USA – October 23, 2017 – My Office Apps, Inc. (MOA), innovator of next-generation, cloud-based inventory management and enterprise resource planning (ERP) solutions, announced today it is gaining additional traction and has been selected by two additional users. WaHiki Coconut Creamery, creator of dairy and gluten free, vegan ice cream products and Sourcely, LLC., a provider of parts and services to mobile electronics stores have chosen MOA’s Kechie Software-as-a-Service (SaaS) Inventory management solution to cost-effectively streamline their rapidly growing inventory management, fulfillment and operating processes. For information about MOA, to discuss how Kechie may help streamline your business inventory management, or to request a product demonstration, please email us at info@myofficeapps.com. A successful sports trainer and an avid, innovative entrepreneur with a common love of good quality, pure food and a desire to create a delicious tasting ice cream alternative for those unable to consume dairy or gluten have team together to form WaHiki. The company was started in 2016 and today WaHiki is expanding rapidly. Its products are sold throughout New Zealand, Australia and parts of Asia. For information about the Company and products, please visit www.wahiki.co.nz. Love WaHiki, love your life. What happens when four entrepreneurial, long-time friends and former coworkers share an idea and develop a platform to power the secondary or re-commerce mobile device market to help repair stores grow revenue, decrease costs and increase profits? This is Sourcely! The company is expanding rapidly since being founded in 2013 and is based in Phoenix, Arizona. For information about Sourcely, please visit www.sourcely.com. For more than 25 years, My Office Apps (MOA) co-founders saw the challenges companies have, purchasing and implementing Inventory management and ERP software solutions. One of the co-founders served as the Chief Information Officer of a leading publicly-based technology company with both domestic and international locations. They experienced firsthand the need for efficient and cost effective inventory management software. Today, the MOA vision is to create unique cloud-based Software as a Service and move forward to a full ERP solution. With the advent of today’s cloud and subscription economy there is no need for a company to invest in expensive hardware, software or to incur significant upfront costs. MOA software solutions adapt to the customer’s business requirements regardless of size, or industry. Kechie and My Office Apps are trademarks of MOA. Other names may be trademarks of their respective owners. What do you do when you know it’s time to choose a new ERP system? 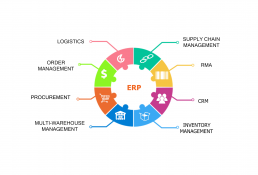 ERP systems interconnect and automate key business functions such as; order processing, production, and finances. It’s essential to any growing business to make sure their software isn’t holding them back, rather, propelling them forward. What Should You Look for When Choosing an ERP solution? Efficiency is the most important factor of ERP selection; find an ERP that is cost-effective and will improve your existing processes, (or establish new ones) to select the best ERP solution for your company. Get a free trial of the best cloud-based ERP software with the most cost-effective price with no risk at all! Is It Really Important To Choose The Right ERP Solution The First Time? These statistics seem to say it is. 80% of customers are unhappy with their current ERP. 60% of ERP projects fail. 90% fail to deliver any measurable ROI. 41% of enterprises fail to realize less than 50% of all benefits. What can go wrong if you don’t? The System implementation can take longer than expected. The Lack of training causes lack of confidence and efficiency. The system isn’t as easy to use as predicted, causing a loss in time and value. The system isn’t cloud-based, meaning sales people can’t work on-the-go. 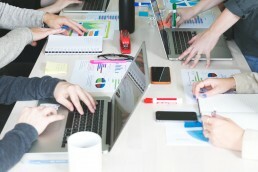 Companies fail to realize less than 50% of all benefits because of a lack of training and efficiency that over-complicated and expensive ERP systems. Great ERP systems need to be able to prevent and avoid these problems at all costs. The solution is to make sure the ERP you choose has: a good price, ease of use/customization, scalability, and is cloud-based/accessible everywhere. 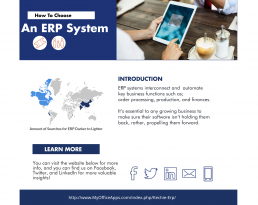 Don’t miss out by getting a complicated ERP system that you will hate; get a sophisticated ERP system that’s easy to use, and the entire company will love. Kechie ERP – The next generation of Cloud-based ERP solutions. Kechie ERP is ready to go and easy to use. Get training along the way with built-in, specific training videos. It is the most customizable ERP system that adapts around your business, not the other way around. Not to mention, Kechie ERP is the most affordable ERP compared to the other top-named brands. With a 100% user satisfaction rate, Kechie continues to provide the very best for all businesses looking to increase their ROI’s, grow, and expand. Try it for free now at no risk, and see how easy and essential it is to any growing company. What have you got to gain? A complete revision on how efficiently and easily your teams can manage your company collaboratively without any of the downfalls.